Tags work like keywords which allows you to narrow down what you are searching for. In Wisenet, Tags can be added against the Course Enrolment which will allow you to categorise an enrolment for the purpose of identifying special traits. 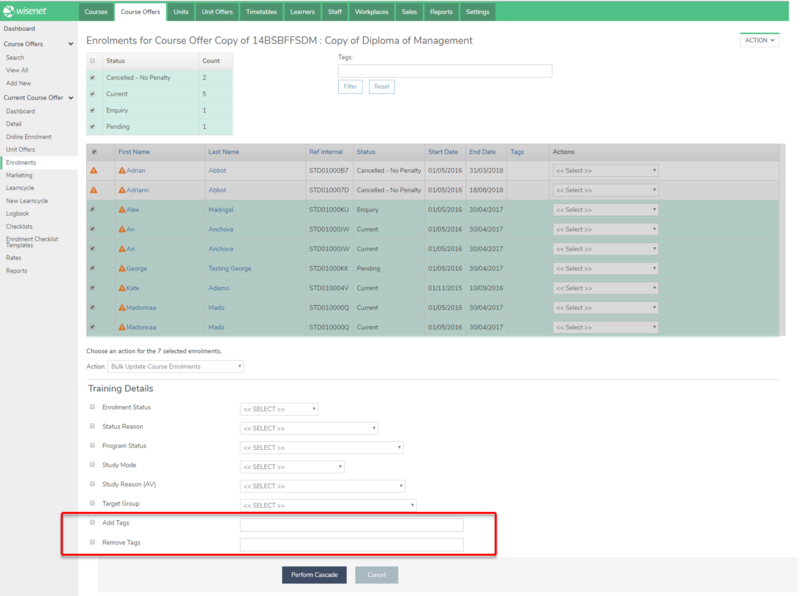 You can then group similar enrolments to allow another way to filter enrolments in reports and within bulk actions. We do not intend that you will double data entry value from other fields. In the near future we will have more filter options for lists that allow filtering by existing fields. You can use the Tags Filter section at Course Offer level to narrow done a list of Learners who belongs to the same tags, i.e. AgentIsNickKyrios.